800-432-2349 355 Union Street • West Springfield, MA 01089 The Uniform Experts! The automotive business is booming nowadays with the number of vehicles on the road. If you own an auto repair shop, setting your business apart from others is a key marketing strategy. A well-groomed and put together uniform with your company’s logo can do just that. By providing uniforms to your employees, it not only promotes your business but can also provide protection for your employees from harmful chemicals and potential messes spilling on your employees’ clothes. New England Uniform offers automotive uniforms that will improve your image, safety, sanitation and security on the job. New England Uniform is your one-stop-shop for your automotive uniforms. 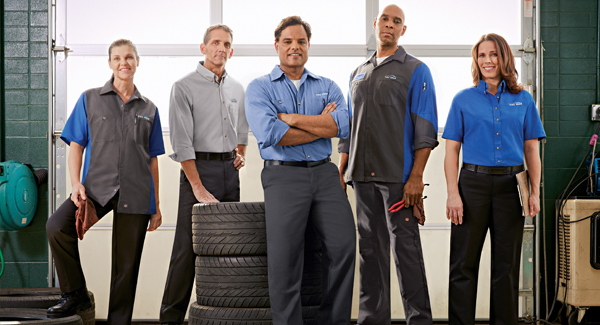 Renting uniforms for the automotive industry can protect personal clothing and prevent rips, stains, and tears keeping your employees’ clothing presentable. We offer a rental package that will keep your employees looking clean and well-dressed. A company uniform will help people identify your business, and studies show that companies that use uniforms are viewed as a more organized business. 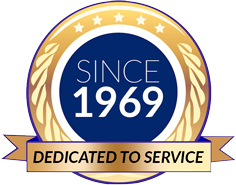 With a New England Uniform rental, all uniform cleaning and maintenance is provided and delivered on a weekly basis. Uniform rental program improves image, safety, sanitation, and security. Advertise your business with your company logo on each uniform, showcasing your brand. Employees are quickly identifiable to your customers. Dress code enforcement is made simple by a garment rental program. Garment rental is tax deductible, does not tie up working capital, and involves no added administrative expense (as other benefits may). Uniforms are available for as little as eight cents per hour per employee. All cleaning and maintenance of uniforms are provided. Weekly pickup and delivery of clean garments to your employees. Worn or damaged garments are replaced as needed. Only high-quality uniforms are provided. The employee enjoys the convenience of garment rental every working day. New England Uniform has close to 50 years of experience in uniform distribution, cleaning, and mending. We supply companies with durable and high-quality rental work uniforms for employees, including shirts, pants, aprons, jackets, and coveralls. We are located in West Springfield, MA, and our uniform rental service areas include MA, CT, RI, Southern VT, Southern NH, Albany, Hudson Valley NY. Copyright 2019 New England Uniform, Inc. - All Rights Reserved.